Original literature "Agile Project Management Handbook"
Training Price: € 750,- VAT excl. Exam fee: € 320,- VAT excl. You will learn the topics of Agile Project Management on Practitioner Level. Agile Project Management provides an approach that offers agility but retains the concepts of a project, project delivery and project management. It works alongside more formal project management approaches such as PRINCE2® and complements quality processes such as ISO90001 and CMMI. Agile Project Management enables organizations to gain the benefits of an agile approach without introducing unnecessary risks. This ensures ‘going agile’ becomes a measured and balanced change, keeping what is good in the current organization and retaining existing good practices around project management and delivery whilst gaining the benefits of a more agile way of working. Our AgilePM Foundation e-Learning Online Training empowers, encourages and equips you with an in-depth knowledge of the approach and how to apply and implement these principles into the life of a project manager on a daily basis. The AgilePM Practitioner Exam will also be taken online by using APMGs ProctorU method. This accredited training meets the requirements of and is accredited by APMG International. Media and Materials: After receiving your personal login you will immediately be able to start your AgilePM Practitioner training. The advantages of our e-Learning trainings are the highly flexible learning hours, which you can freely organise during the three month access time and the fact that the lessons can be arbitrary continued and repeated. A further advantage is the easy access to our e-Learing platform, it is accessible by browser and requires no additional downloads or software. In addition you will find sample exam papers with rationales and answer keys on our Platform. Case Studies and Scenarios: Instead of simulating practical usage by scenarios or group work, our e-learning focuses on deepening your knowledge for examination through exercises in every chapter. Agile Project Management is based on DSDM (Dynamic Systems Development Method) Atern, which has always been the only Agile method to fully address the concept of an Agile project, and provides detailed guidance on how to manage and deliver Agile projects. Based on the proven fundamentals within DSDM Atern, the AgilePM approach provides the ability to deliver Agile Projects in organizations requiring standards, rigour and visibility around Project Management, while at the same time enabling the fast pace, change and empowerment provided by Agile. The AgilePM certification is useful to all candidates and competency levels ranging from highly experienced project managers to those new to the industry. The Certificates PfMP®, PMI-SP®, PMI-RMP® und PMI-PBA® earn 4,0 PDUs in the Category "Strategic". We use APMGs official online proctoring method for our Agile Project Management Practitioner Online Exam. Thus you are free to sit the exam round the clock seven days a week. Online Exam "Agile Project Management Practitioner"
Maxpert Affiliate is working in conjunction with the Accredited Training Organisation Training Bytesize. 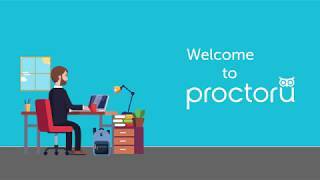 This video outlines what to expect for your ProctorU proctored exam. It includes all the rules and tips to be prepared in advance of test day. 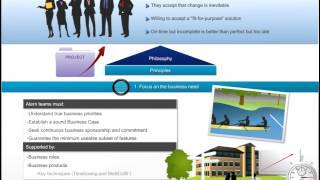 To give you an Impression about our AgilePM Online Training.